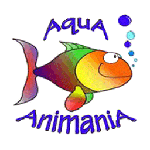 As one of Southwest Ontario’s largest independent aquarium, fish, pet and pond retailers, AquA AnimaniA brings local consumers the broadest assortment of merchandise and services through its supply chain network of suppliers and vendors. From pets and pet supplies to aquariums, fish and outdoor garden ponds, our goal is to find exclusive, innovative merchandise that delights consumers, in a friendly and relaxed environment. AquA AnimaniA has a tradition of excellence in retail support, particularly ethical sourcing. AquA AnimaniA builds long-lasting partnerships with vendors from Canada and around the world. We are constantly looking for qualified suppliers who share our commitment to bringing affordable, reliable, innovative products and merchandise to our community. You should review the individual vendors and suppliers sections for more information, to understand our common standards and commitments to quality.